Under the hot Australian summer sun it doesn’t take much to turn your tomatoes sun-dried. Tomatoes drying on the roof of our shed. 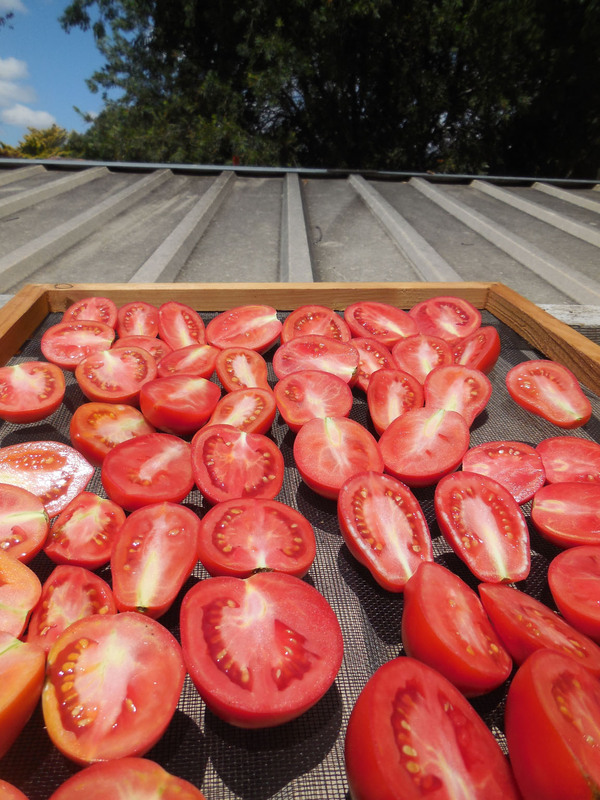 We have a good crop of toms this year so a quick slice and I place them on a mesh tray to dry on the roof of our shed (the top mesh keeping the bugs off has been taken off for the photo). Previous Here come the sheep!